The stock opened 3.80% higher at 190.70 compared to the previous close of 186.80 on the BSE and was the top gainer on Sensex today. All eyes are on the private sector lender YES Bank which will hold its board meeting today to discuss the names of candidates for the position of next MD and CEO after Rana Kapoor's term ends on January 31, 2019. The board will also recommend names for new chairman to be approved by the RBI as well as consider the appointment of independent directors. 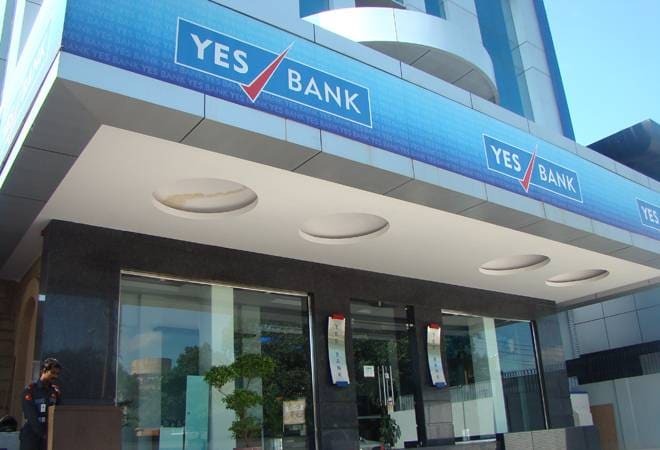 The YES Bank stock will also be in focus even as it trades with nearly 53% loss from its all-time high of 404 level hit on August 20, 2018. The stock opened 3.80% higher at 190.70 compared to the previous close of 186.80 on the BSE and was the top gainer on Sensex today. The stock touched an intraday high of Rs 194.30 or 4.01% higher compared to its previous close of 186.8. The stock has been gaining for the last three days and risen 16.18% during the period. However, the large cap stock has lost 38.45% since the beginning of this year and fallen 35.76% during the last one year. 28 of 47 brokerages rate the stock "buy" or 'outperform', 13 "hold", four "underperform" and two "sell", according to analysts' recommendations tracked by Reuters. The stock is trading below its 50-day and 200-day moving average of 192.32 and 293.60, respectively. Last month, YES Bank said its board on December 13 will recommend names for new chairman to be approved by the RBI as well as consider appointment of independent directors. During the meeting, they would consider proposals for appointment of independent directors and also recommend name(s) of the new chairman for approval of the RBI. Here's a look at what analysts said about the prospects of the stock. Rahul Agarwal, Director, Wealth Discovery/EZ Wealth said, "Continuing its positive momentum from Tuesday, the YES Bank stock was up by another 4.5 % touching a day high of 187.50, the stock has been moving up consistently and has climbed a healthy 16% off its lows of Rs 160.45 that it made on November 29. Much of this uptick is in anticipation of a positive outcome from its board meet that is scheduled for December 13, the board is meeting to shortlist names for a new MD and CEO and to also discuss the appointment of its independent directors. Given the significant up move that we have already witnessed in the counter, we do not expect a meaningful uptick based on the outcome the board's meet in the immediate term as the final outcome would still be in the hands of the RBI. However, in the short term and medium term, we definitely think it is a positive development as it clears the uncertainty surrounding the stock that has been a major headwind for its upward move. Given the recent price action, we think the downside risk is limited and traders can get long on this stock with a strict stop loss of 165, with a target in the range of 230-235. Long-term investors should wait for the outcome of the board meeting to initiate fresh positions as the stock may witness some selling following the news and that could be an attractive entry point." Vinay Rajani, technical analyst at HDFC Securities said, "YES Bank has been showing strength. It has started forming higher tops and higher bottoms on the short term charts. There are good chances that it could reach 200 in coming sessions. Support is now shifted upward to 173." Mustafa Nadeem, CEO, at Epic Research said, "We have been bearish on YES bank since 190 odd levels given the current news events that are factored in the price. The stock has tested one of the most important supports at 140-150 levels. A new MD and CEO being appointed is going to have an impact as the stock price is a sum total of many things and leadership is certainly the factor carrying more weight. That is also reflected in price in the last few days in the stock which has rebounded from lower levels gaining plus 20%. This is certainly the time when one can start accumulating at lower levels since the worst case scenario in stock has been witnessed. We may see some consolidation going forward but yes, buying on dips in this stock is on the cards for the next few weeks for a decent double-digit return."